The Chinese Water Deer (also known as the Asian water deer) is a small ungulate that is known for its long fang-like canine teeth and belongs to the water deer group to which the Korean water deer is also a member. 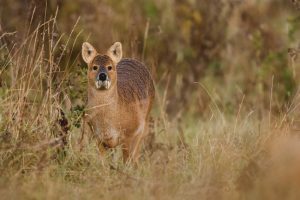 The Chinese deer are more similar to the musk deer, rather than a true deer, while their population has declined at a highly alarming rate. Size: They stand at 2.5-3.3 ft (75–100 cm) in length with a shoulder height of 18-22 in (45–55 cm). Weight: The weight can be anything between 9 and 14 kg (20-31 lb). Body hair/coat color: Dense and thick golden brown fur present all over the body, as well as on both the ears. Head: The face is somewhat round with long ears and large, dark eyes. Tail: The tail is small like most other species being between 2.4 and 3 in (6 and 7.5 cm). 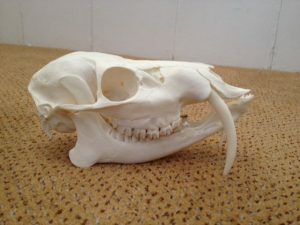 Teeth/Tusks: The canines in the bucks are much large than the does, with the former’s length being 2.1 in (5.5 cm), and the latter’s being 3.2 in (8 cm). This is the primary characteristic of their sexual dimorphism. The average lifespan of the deer is around 12 years in the wild, while in captivity they live a little less with an average of 11.5 years. 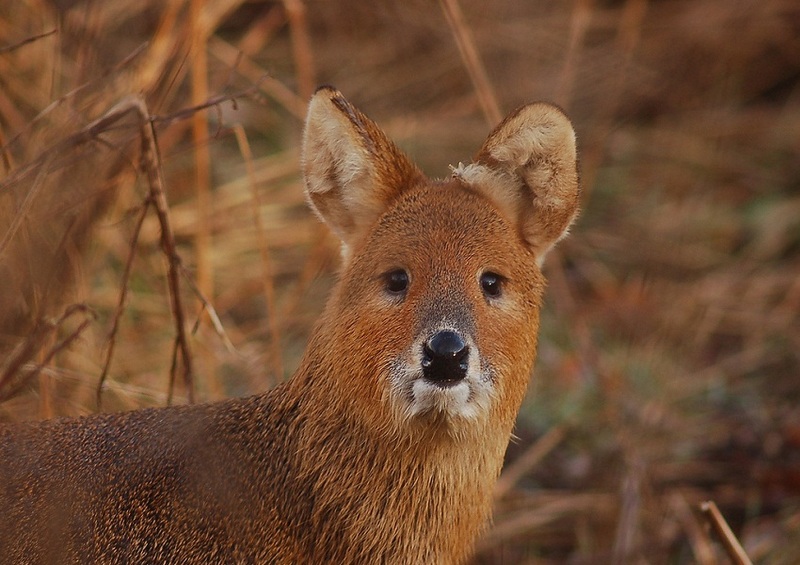 Chinese water deer are native to the southeastern parts of China as well as Korea; however, they have been introduced to several countries including France, the US, and the UK. These deer live among tall rushes and reeds along the river banks, amidst the tall vegetation on cultivated lands and mountains, as well as in open grasslands and swampy or marshy areas. 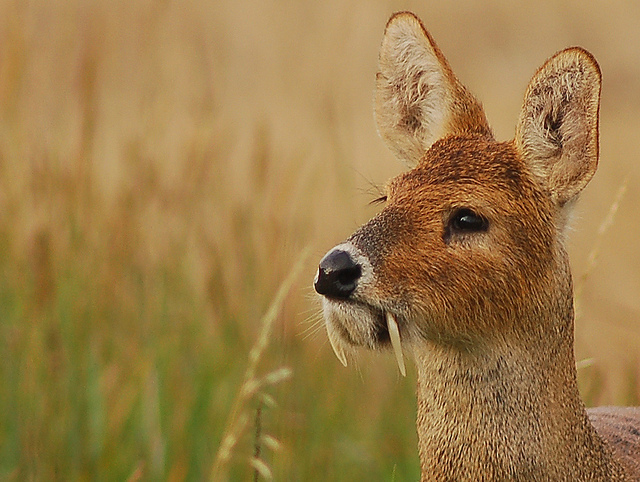 Chinese water deer are generally solitary creatures except during the mating season. They remain active almost 24 hours a day. However, the peak time of their activities is during the dusk hours. These deer might form pairs or small groups when the season for breeding arrives. After their daily diet, these deer would sit idle for long hours ruminating. The male would often display aggressive behavior towards other males, and would not withstand them close to their territory. 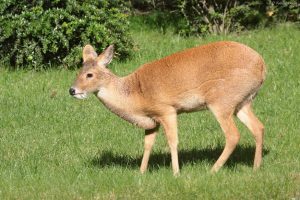 Like most other species of deer, one male might leave the other male competitor wounded, but fatalities are very rare, unlike the antlered species. Both the male and the female Chinese water deer communicate with the others using short barking sound if they feel threatened or alarmed. When one buck chases another male, they will emit a fast chattering sound termed as ‘whickering’, while the season for courtship arrives, a male would give out squeaking and whistling sounds directing towards the female. When they are chased, both the male and the female will give out a screaming sound. It is during the estrous cycle of the does that the males and the females would form pairs. After a successful mating session, the female deer give birth to its fawns between May and July. The gestation period is around 6 to 7 months. 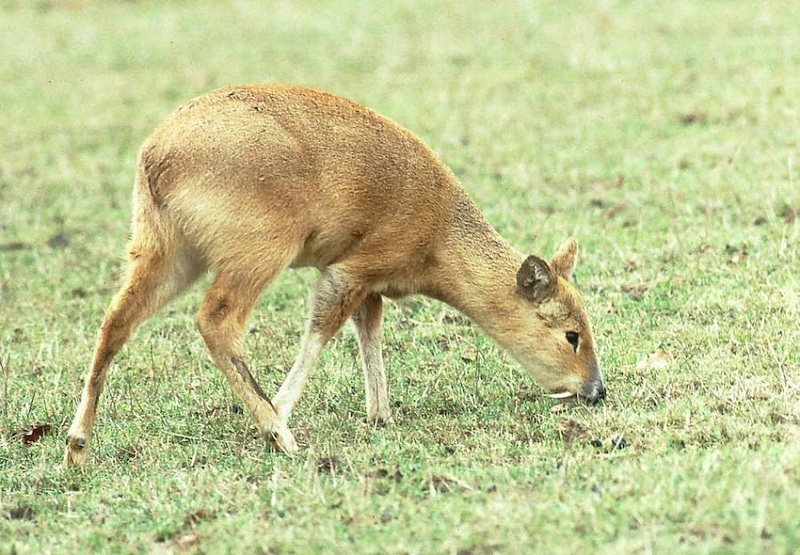 A single brood can consist of a maximum of six baby Chinese water deer. However, the number is generally between one and three. 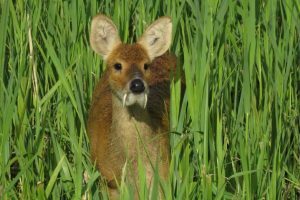 Unfortunately, up to 40% of the newborn Chinese water deer die out within the first month from their birth. 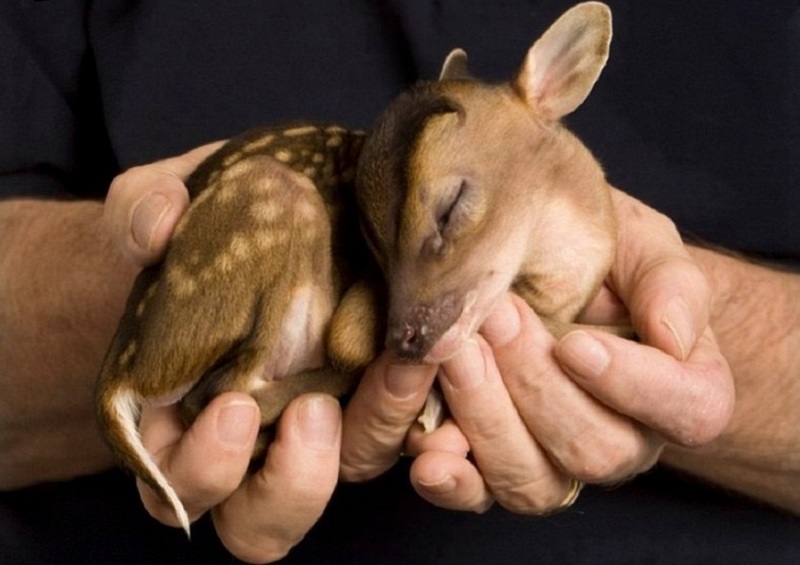 The baby deer take several months before weaning and learn to live independently from parental care. However, before they become independent, it is the responsibility of the female to take care of the juveniles. A male young takes around 5 to 6 months and a female about 7-8 to attain the age of sexual maturity. These deer have a highly selective food habit and consume tender herbs, forbs, and young grasses, rather than thick, mature or fibrous vegetation. The prominent elongated tusks of these herbivorous animals are an adaptation to scare away potential predators as mimicry of the canine teeth of the carnivores. They also use the tusks to defend territories. The thick, coarse coat of the animals helps them stay warm during the snowy winters. Their furry ears also prevent much body heat from escaping. Because of their preference for water bodies, these deer are excellent swimmers. The predators of these deer vary between populations, e.g., the adults do not have any predators in Britain, but the young ones are often preyed down by foxes and even crows. In Korea, their natural predators were Korean tigers and leopards that went extinct, leaving them safe. 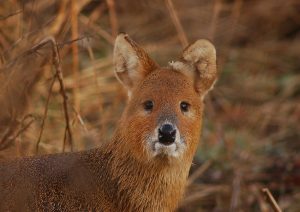 The IUCN 3.1 Red List has classified this rare deer species as ‘VU’ (Vulnerable). 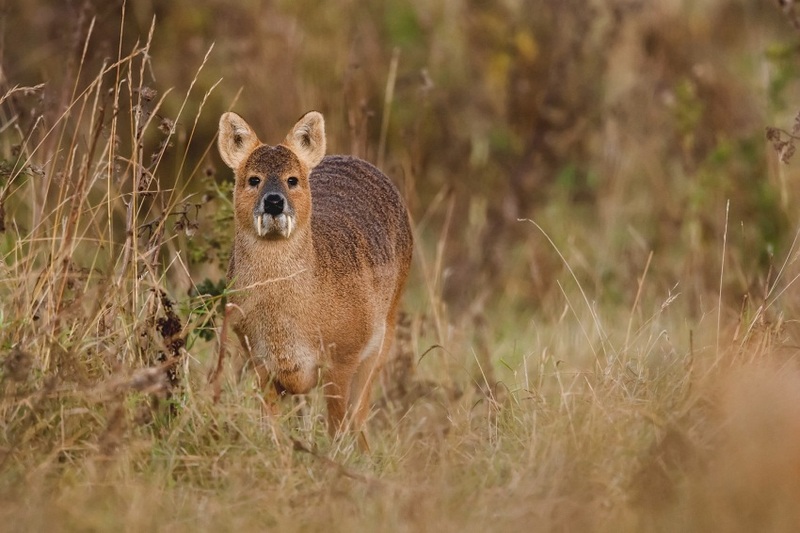 Chinese Water Deer was first introduced into Great Britain in the 1870s and became wild in England with an estimated current population of about 600. 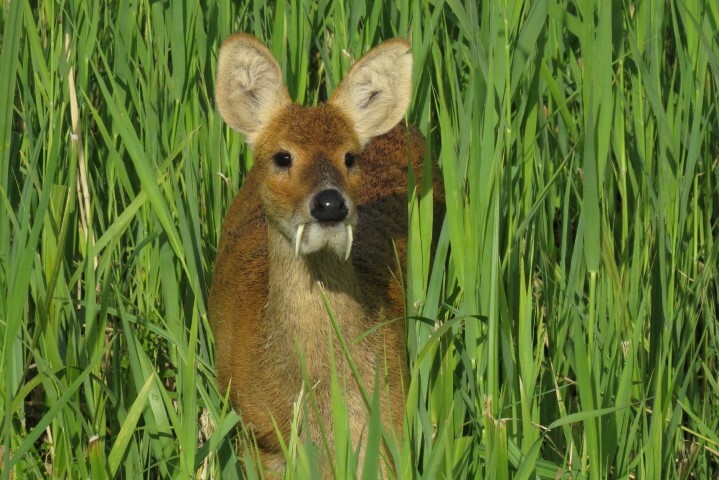 This water deer gets its name for its preference for rivers and swamps. 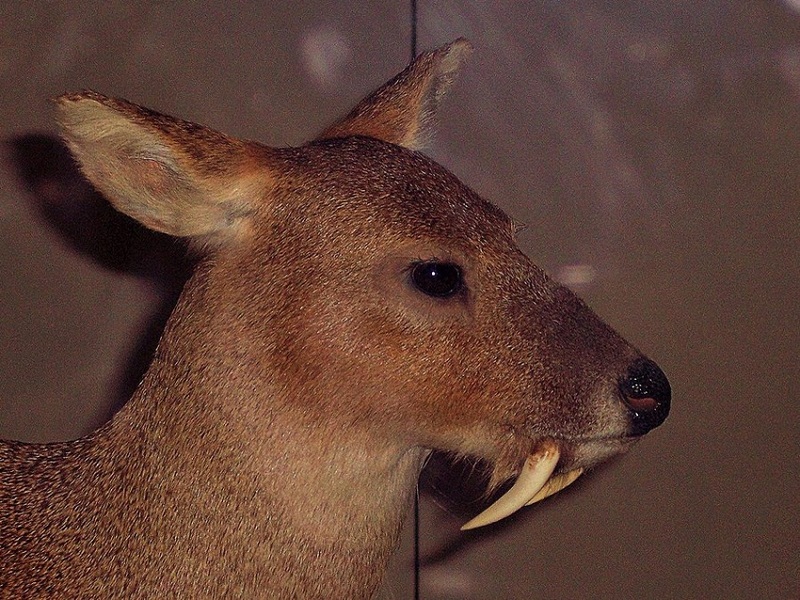 In the English-speaking areas, they are also known as the vampire deer because of their long canines resembling the mythical teeth of the bloodthirsty vampires in tales and lore.